Having a log cabin is a contemporary approach nowadays. They are useful, look beautiful and are versatile. However, maintaining the right kind of temperature within a log cabin particularly during different seasons can be a challenging task for many people. If the log house has a lower roof than the standard height and has a smaller (shorter) door, this might help to retain some additional heat during winters. Install double glazed glass in doors and windows; whenever the house get sunlight, the temperature within will rise making it more comfortable, and the heat will be retained for a longer period. With such a setting, inside temperatures during overcast days will also be pretty comfortable. However, when it comes to summer, things can be different, and the log cabin might get overheated. Summer heat is precisely when an air conditioner will become helpful. When installing an air conditioner in a log house, the design of the log cabin should be thoroughly considered. In fact, the volume of the log cabin will be the key factor to consider before installing an air conditioner. Higher roofs increase the volume of the cabin and require more powerful air conditioning units. Large units consume more energy than smaller units and in turn will be the reason for higher energy bills. Apart from that, the number of doors and windows a cabin has, the size of the windows and how the roof is configured are key aspects that influence the effectiveness of the air conditioner. The cost of air-conditioning will vary depending on the type of the fuel used to power it. In some areas, natural gas is affordable while propane or fuel oil are other popular options. However, it is always better to pre-calculate the energy costs before the installation and be ready with necessary financial arrangements. Logs work as an efficient insulating material compared to conventional buildings. Logs can retain heat for a longer period and emit it; this is a great benefit as it helps to make the HVAC system less strained. In fact, log cabins can be up to 20% energy efficient (regarding air conditioning) than conventional house models. Nonetheless, it is better to consult an expert before opting to an HVAC system. Their expertise will suggest the best installations and adjustments to achieve better energy efficiency. 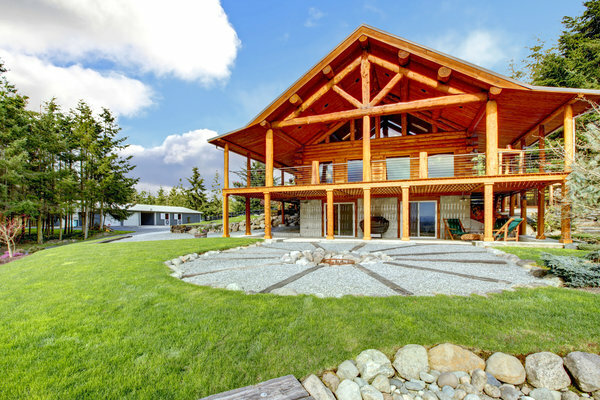 Let us custom build your dream log cabin. 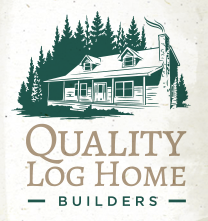 Contact Log Home Builders at 919-202-4428. This entry was posted in Log Cabin Homes and tagged log cabin, Log Cabin Builders, Log Home Builders, Raleigh NC, summer log cabin. Bookmark the permalink.